Oil-filled rotary screw air compressors are considered positive-displacement compression units. They comprise a pair of identical helical screws with lubricant filled in the gap to provide an air-tight hydraulic seal and facilitate motion transfer between the two. As the screws rotate and mesh with each other, the air in the threads is forced through the compressor and delivered to the application. During the compression stage, oil is injected into the compressor to lubricate the rotors, gears, and bearings, cool the compressed air to approximately 40 degrees Celsius above ambient temperature, and assist in sealing clearances in the screw rotor housing. As the lubricant is conveyed through the compressor, it mixes with the air and gets discharged in an oil/air separator. Here, most of the oil is eliminated due to change in velocity and impingement. The air then passes through an air/oil separator located at the top of the sump to get rid of the remaining oil. The separated oil drops to the bottom and is carried back to the system via an oil-return-line. For oil-flooded air compressors, ensuring that there is sufficient, high quality oil in the system is critical for proper function. Most manufacturers recommend the use of lubricants with ISO viscosity grades 32, 46, or 68. You may also consider using synthetic lubricants that provide longer oil-drain intervals of up to 8,000 hours, compared to the recommended 1,000-hour change intervals for mineral oil-based compressor oils for comprehensive maintenance programs. If you choose synthetic lubricant, make sure that you also change the oil filters and air/oil coalescer elements at the recommended change intervals for those lubricants and for your specific equipment. When changing the oil, keep in mind that not all lubricants that are applicable to oil-flooded rotary screw units are compatible. Check the lubricant compatibility, and if you plan on changing the lubricant, make sure you flush the system first to avoid any problems. 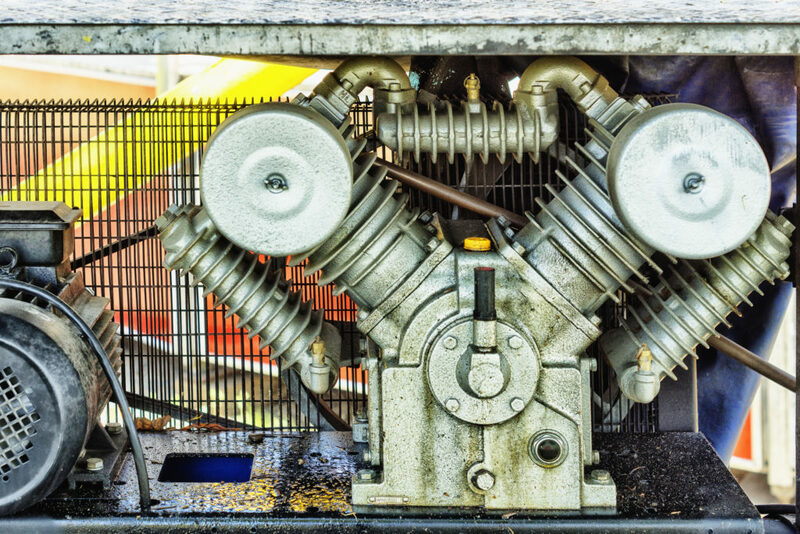 When it comes to choosing an industrial air compressor, you need both reliability and power to perform the job at hand at the desired rate and with near-zero downtime. That is why we only distribute air compressors from the top brands in the industry. Baldor Motors – We distribute Baldor’s cutting-edge rotating equipment for various industrial fluid applications. The manufacturer is well-known for its focus on product longevity and energy savings for its range of products. Chicago Pneumatic – We distribute CP’s range of stationary piston and rotary screw industrial air compressors that are ideal for a wide range of applications, from low compression to high compression requirements. These products have some of the best warranties in the industry. ConservAIR® – Our partnership with Pneumatech, the supplier of ConservAIR® products and technologies gives our clients access to a range of innovative products. Most notable is the Intermediate Control (I/C) compressor that can be retrofitted to any compressed air system to allow for remote control monitoring of your system, which leads to huge energy savings. Domnick Hunter – Our partnership with Domnick Hunter is key to providing our California-based industrial clients with quality, filters, dryers, and separators manufactured in strict accordance with ISO standards, which also ensures optimal performance and minimal environmental impact. Great Lakes Air Dryers – Great Lakes Air manufactures robust and resilient regenerative and refrigerated air dryers and filtration solutions with outstanding warranties. Kobelco America – Established in 1905, Kobelco specializes in the manufacture of compact, smooth-running screw compressors for applications that require capacities and pressures greater than centrifugal-types can deliver, but less than that offered by reciprocating compressors. Kobelco KNW – Kobelco offers a wide range of hardy products that can function in the harshest environment, including oil-free screw compressors for the pharmaceutical, gas, chemical, and electronics industries. 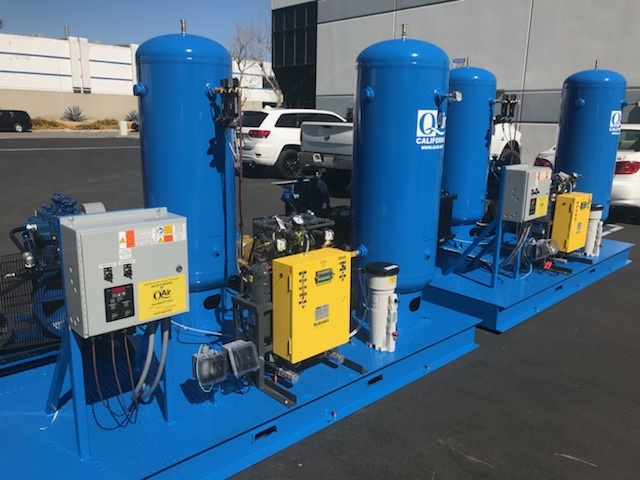 Pneumatech Dryers – An innovative leader in the industry, Pneumatech offers a variety of desiccant and refrigerated dryers and compressed air filters that protect your equipment from moisture-related problems such as pollution and corrosion. 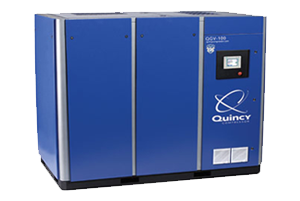 Quincy – Quincy offers a full-line of vacuum pumps and lubricated rotary screw industrial air compressors that feature efficient controls, compact design, and excellent serviceability, plus a 5-year warranty. Their products also offer portability for easily relocation as needed. ZEKS – This brand is recognized for its exceptional range of compressed air products, including refrigerated and regenerative dryers that feature innovative designs and advanced engineering. 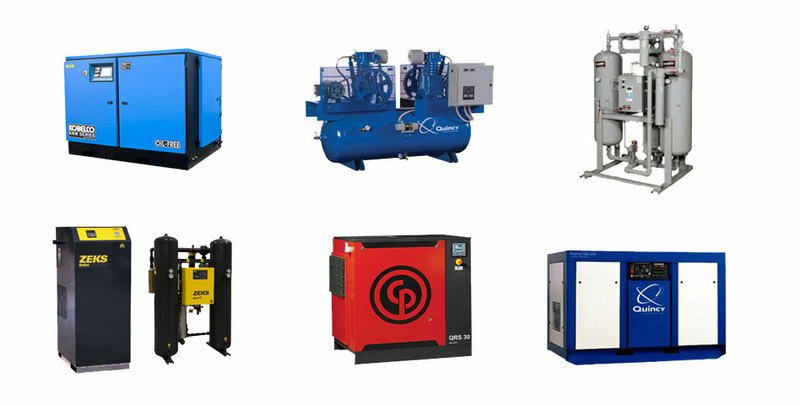 Q Air-California has the expertise to service and repair industrial air compressors from these leading brands in our 22,000 sq. ft. facility. We also provide installation and preventative maintenance to maximize the longevity of your equipment. For most business operations that require compressed air, regular preventative maintenance and occasional service can keep your equipment running smoothly and efficiently for years. But depending on its age and how hard your industrial air compressor times, some types of equipment failure can cause you to weight between repair and replacement. Excessive belt wear – belts are easily replaceable. But it is more important to identify the cause of excessive wear. Common causes include the belt being out of alignment or an excessively tight/loose belt. Oil levels – If you’re using an oil-based compressor, it is important to check and adjust the lubricant levels during routine maintenance. Excessive oil consumption – This is another problem associated with oil compressors, which may be caused by loose bolts, worn piston rings, or poor air ventilation. Excessive or unusual noises when the compressor is running – This could be due to problems with the belts, bearings, crankcase, or flywheel. Very hot discharge air – This is indicative of a problem with the cooling system. You may need to increase its capacity. All of these problems can be easily corrected with replacements or adjustments without much downtime. If your compressor is malfunctioning or outdated, and is not performing to the expected standards, then you should consider getting an energy audit. Through proper assessment of the compressor, professionals can recommend changes to improve the efficiency of your operations, some of which may involve replacing your air compressor. Generally, you need to upgrade your air compressor if your current unit is not meeting the growing demands of your business; if it breaks down frequently; and if it is not energy efficient. It also makes sense to replace older models that have barely no replacement parts and any repair work is difficult, costly, and time consuming. Before making your final decision on whether to replace your current industrial air compressor, please consult a professional in your area for an energy audit and recommendations to improve your entire business operations. Posted in Industrial Air Compressors	| Tagged industrial air compressor repair, industrial air compressor service, replace air compressor	| Comments Off on Is It Time To Replace Your Air Compressor? 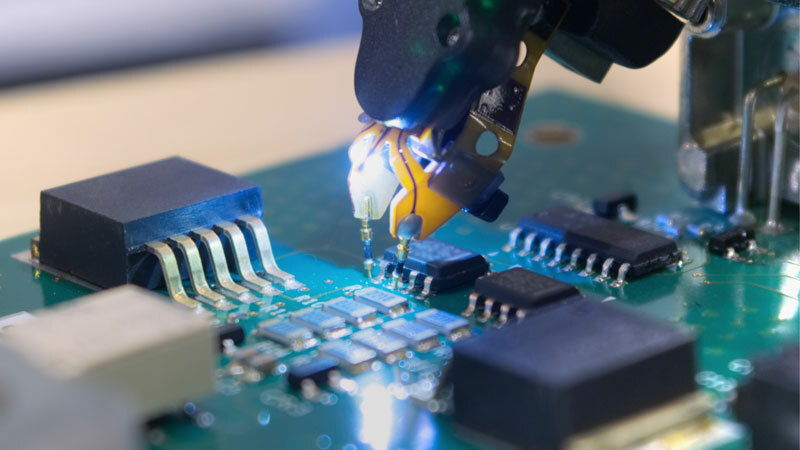 An industry like electronics and semiconductor manufacturing requires technology that completely eliminates the risk of contamination – oil, water, particles – and the dire consequences that may follow, such as production downtime, unspoiled or unsafe products, costly product recalls, and legal issues that can destroy your brand image. For such applications where the air quality is important for the production process and end-product, industries prefer to use oil-free compressed air systems. Only oil-free air compressors can deliver 100% uncontaminated air. High quality oil-injected compressors can deliver oil-free air, thanks to the integrated oil removal filters. However, there have been a few cases in the past where these compressors have resulted in oil contamination, despite having several stages of oil removal. With oil-injected compressors, there is always the risk of contamination and the likelihood of severe consequences for your production process and the end product. One of the biggest factor affecting the efficiency of oil-based compressor systems and the purity of the compressed air output is temperature. When the air passes through the oil removal filters, the oil carryover via the filter media increases significantly according to the temperature at the filtration interface. Moreover, higher temperatures translate to higher vapor content of the air, as well as decreased lifetime of activated carbon filters. In fact, with the stated changes in temperature, from 20°C (68°F) to 40°C (104°F), the lifetime of the filter can be drastically reduced from 1000 hours to just 50 hours. This means that you may need to change your filters 2-3 times a week, failure to which it could allow oil to pass. Also keep in mind that ambient air has minute traces of oil coming vehicle exhaust and industrial sources. However, in highly contaminated areas, the oil content rarely exceeds 0.003 mg per cubic meter. This result is based on a test conducted near a factory with substantial machining activity, including milling, drilling, grinding, and turning, plus there was heavy vehicular traffic and a garbage incinerator around the location. Although the initial cost of oil-free compressors is high, you achieve greater savings in the long run by eliminating costs associated with replacing expensive filters, reducing service and maintenance costs due to treating oily condensate, and avoiding the costs of extra energy required to compensate for pressure drops in filters. Medical air in hospitals is classified as a drug, which means that hospitals, pharmacists, and dentists are responsible for ensuring that the quality of the air is compliant with regulations. For most hospital air compression systems and applications, this means providing oil-free and water-free air. There have been a few cases of failed oil-based medical air compression systems caused by corrosion of the lubricant and subsequent mixture of oil and compressed air. With the damaged lubricant, the moving parts in the machine experience increased friction, resulting in costly malfunctions. To prevent such problems, many hospitals today prefer to use oil-free air compressors that don’t contain any oil in the system. Water contamination is the most common, corrosive, and costly problem that can infect medical air compression systems. 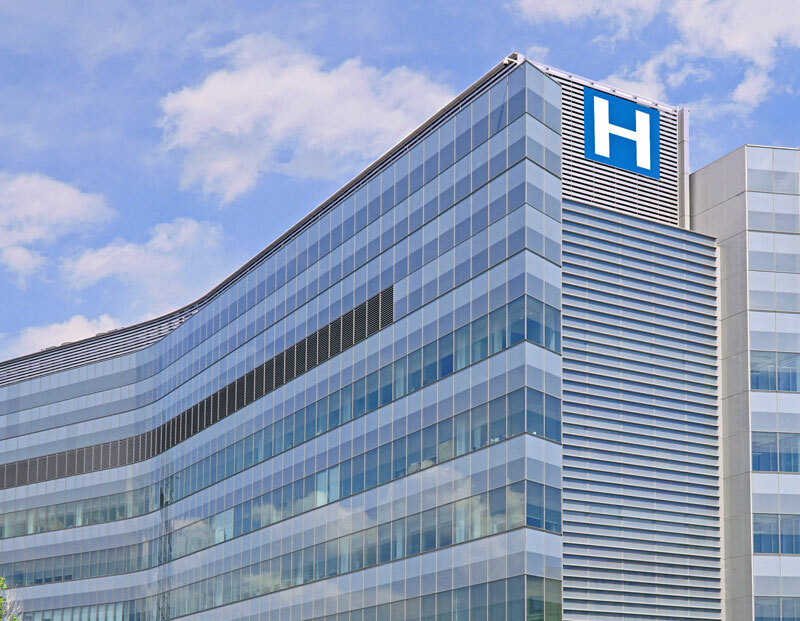 Any water that gets into the system can damage the pipes and receivers, corrode any metal parts, and encourage the growth of mold on hospital equipment. Even more concerning is if the water passes through the filters used to keep out particulate residue from steel, iron, and rust. Water, either as system condensation or airborne moisture, can compromise the effectiveness of the compressed air equipment and lead to endless repair bills. Patient safety should be the primary focus during the installation and maintenance of hospital air compressor systems. To save money and avoid catastrophic injuries, delays, and unfavorable experiences due to failed or compromised medical equipment that use compressed air, the systems should be tested at regular intervals and analyzed for patterns in system behavior preemptively, to address potential problems before they arise. After all, air compression systems for hospitals that are not safe, reliable, or sanitary defeat the purpose of the healthcare facility itself. 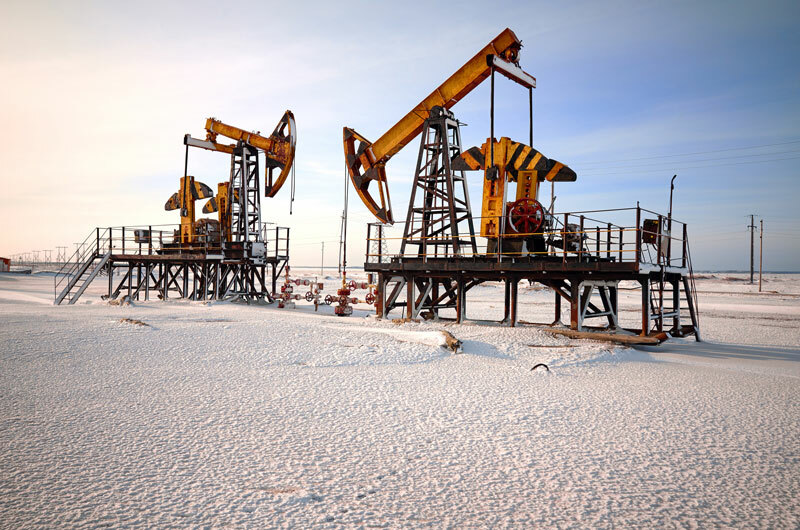 One of the most invaluable, naturally occurring commodities in today’s world is crude oil, a fossil fuel made from the remnants of ancient zooplankton and algae that were subjected to heat and massive pressures deep in the ground for millions of years. Petroleum refining – 95% of petroleum gas is processed through compression before transporting in a pipeline. Increasing the pressure of processed gas initiates a catalytic reaction used in the refining process. Petrochemical synthesis – Ammonia, methanol, urea, ethylene, ethylene glycol, and other petrochemicals require very specific air and gas pressurization in the manufacturing process. Pipeline transportation – Reservoir pressures tend to decrease gradually over time, so compressors are needed to maintain or boost gas flow into the pipeline system. Both centrifugal and high-pressure reciprocating compressor systems can be used. Despite massive development in alternative energy sources, the demand for oil and oil-based products continues to increase with the rising global population. To keep up with the demand, air and gas compressors have become invaluable for ensuring the appropriate pressure levels for these operations. This means that the demand for industrial air compressors will continue to grow in in the oil and gas industry over the next few years. The next-generation of compressor systems will play a vital role in the steady growth of the market, with innovations focused on increased speed, lower energy requirements, and greater ability to withstand the harsh drilling environments to maintain a competitive edge. Nearly every industrial application, from a simple car repair shop or a complex maintenance system to a multi-structure manufacturing plant has some sort of compressed air framework. In most applications at public works or government facilities, the compressed air system is so critical that the site cannot function without it. Air compressor systems vary in side from small units to massive systems of over 50,000 horsepower. These air compressors’ power consumption usually exceeds that of any any other type of machine. As such, running an inefficient compressed air system can increase the cost of production drastically. Using modern systems that employ the latest technologies can help deliver energy savings of 20 to 50% or even more. 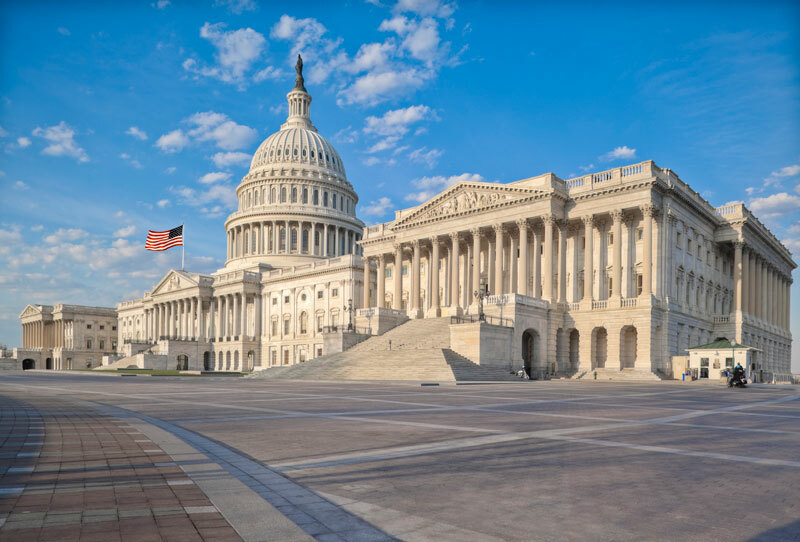 For government agencies, this is equivalent to tens or even hundreds of thousands of dollars of yearly savings potential dependent on the use; funds that can be diverted to another state project. Scheduled preventative maintenance on the components of your industrial air compressor system is key – ensuring optimal performance, maintaining equipment reliability, keeping the warranties in effect, and maximizing your return on investment. Conversely, neglecting routine maintenance increases the risk of expensive breakdowns, extended downtime and reduced production, and shorter life expectancy of your equipment. It is important to form good relationships with service and repair companies that specialize in the maintenance of most of the major brands of industrial compressed air systems of varying horsepower. 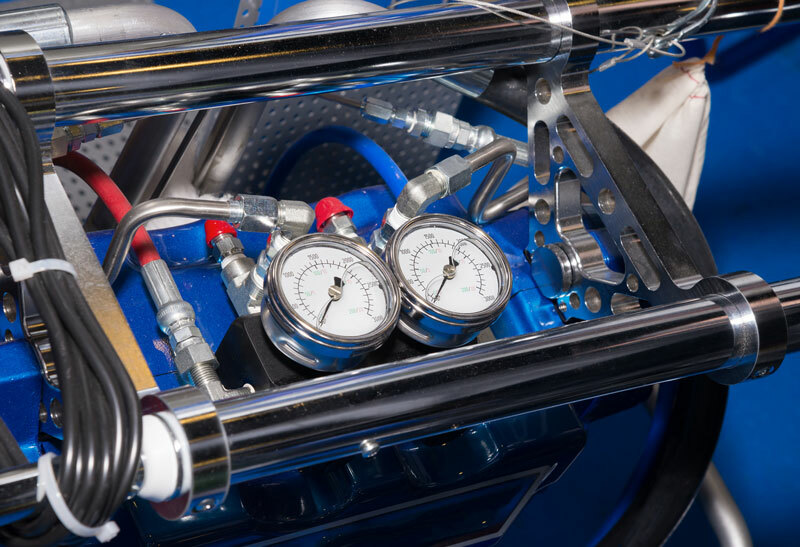 The process involves a skilled and experienced technician examining your air compressor to identify any major faults of causes of malfunction, ordering the necessary parts, and performing repairs on-site. If you are not sure about the (in)efficiency of your air compressor system, you should request an energy audit to evaluate the need for an upgrade. There are several different types of industrial air compressors in the market today. These compressors are classified based on the pressure level, functionality, and other physical properties. Rotary screw air compressors – These use screws to compress the air. Oil-lubrication – These compressors use oil and oil-based substrates for lubrication. Splash compressors are designed to allow the rod-like component to dip in an oil bath and splash the oil onto the bearings. They are very popular for industrial applications. Oil-free technology – These compressors use non-oil based materials such as air and dry carbon to produce the cooling effect. Their bearings are soaked in oil permanently to run smoothly. But without oil to facilitate heat dissipation, oil-free compressors are used for light work that does not generate a lot of heat. Pressure-lubricated – These compressors also use oil for cooling and lubrication, but rather than splashing the oil to the bearings, a pump delivers the oil to all the parts of the compressor that need lubrication. Most industrial air compressors are belt driven because of the huge amount of power needed to deliver volumes of compressed air without overheating the engine. Smaller air compressors are direct-driven or shaft-driven. They are small, handy, and easy to maintain, though they can’t meet the compressed air needs of large facilities. When looking to buy an industrial air compressor, it is best to choose an oil-lubricated one, with enough power and a good pulley system to provide the needed volumes of compressed air. Contact Q Air-California to find the right type and size for your specific applications. When an air compressor needs to be overhauled, you hope the experience will be as pain free as possible. There are different approaches to overhauling an air compressor, and each has different implications related to cost, parts, service and performance. Knowing when to overhaul a unit is important, and there are certain signs that indicate a unit needs attention. Performing routine fluid checks, taking oil samples, and routinely checking for bearing vibration can unveil indicators that suggest an upcoming failure. Oil contamination with metal fragments usually indicates parts are wearing. It’s also important to take notice of airend temperature increases. If internal compressor temperatures go up, that’s a good indicator that the cooler may be failing. 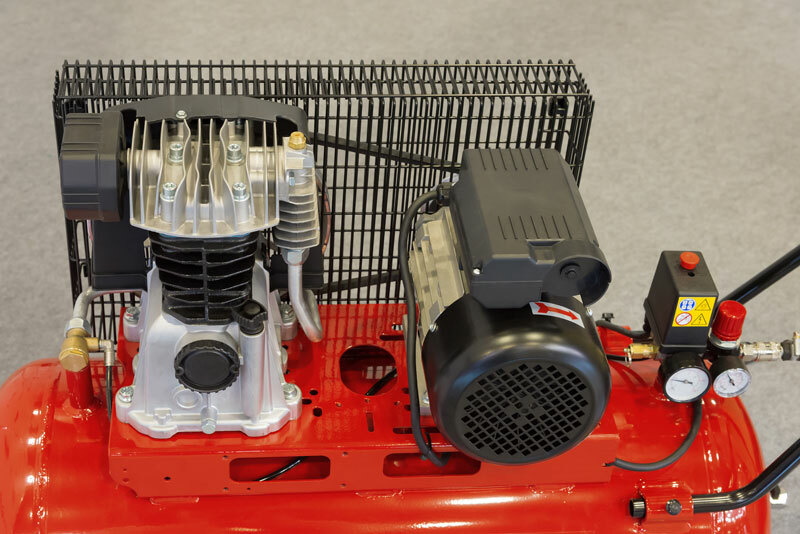 The rebuild approach to overhauling an air compressor typically takes place in the field, at the customer site, where the compressor is already installed. The product testing after the rebuild occurs in the field and may include checking discharge pressure, vibration levels and testing for oil leaks. During a non-OEM rebuild, existing parts are either refurbished or replaced with rebuilt or third-party parts. A remanufactured air compressor is overhauled within the original equipment manufacturer’s (OEM) factory. In this scenario, the factory will have all of the design drawings and specifications to bring the unit back to the original factory specifications. The manufacturer may also build the replacement airend with in-house parts, replacing bearings, seals, gaskets, pumps and more with new or OEM-certified parts. They will also conduct a complete mechanical and performance test before the unit leaves the factory. Compressed Air Best Practices® (CABP) Magazine recently caught up with Rick Stasyshan, Compressed Air and Gas Institute’s (CAGI) Technical Consultant, and Ian Macleod of the CAGI Centrifugal Compressor Section and member company Ingersoll Rand. CABP: Gentlemen, thanks for the series of articles on centrifugal compressors. Why have you selected centrifugal compressor capacity controls for this interview, and can you give a brief introduction? CAGI: CAGI and our centrifugal customers all share a common interest and goal — to maximize the compressor system efficiency and optimize the system energy usage. Since the capacity controls on a centrifugal compressor are a bit more complex than positive displacement types of compressors, consulting a factory-trained technician is always recommended. The members of the Centrifugal Compressor Section of CAGI can provide that assistance. Centrifugal compressors are dynamic, and each has a characteristic curve of rising pressure as capacity decreases. Without any control system, the compressor would operate along this natural curve. A centrifugal compressor’s flow and pressure are typically controlled by a combination of an inlet control device and an unloading valve (UV). CABP: Can you summarize how these devices work in combination to achieve the desired results and share what options might be available? CAGI: Well, since a centrifugal compressor’s controls are a bit more complex, we will walk readers through the systems and the options available.